Art and music are an important and enriching part of life in the Golden Isles. Fall brings a new season of concerts and art events that I will be showcasing in the coming months. Plan now to attend the opening performance by the Coastal Symphony of Georgia featuring the works of Beethoven and Hyldgaard on Monday night, October 27, 2008 at 8:00 pm in the Glynn Academy Auditorium [directions]. 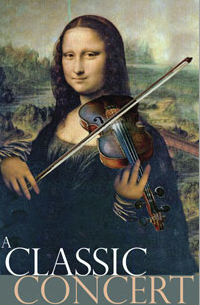 You don’t need to drive to Jacksonville to hear live classical music. I am delighted to invite you to join me for this and every concert.